Our foundation subjects for this half term are; history, DT, RE, ICT and PSHE. 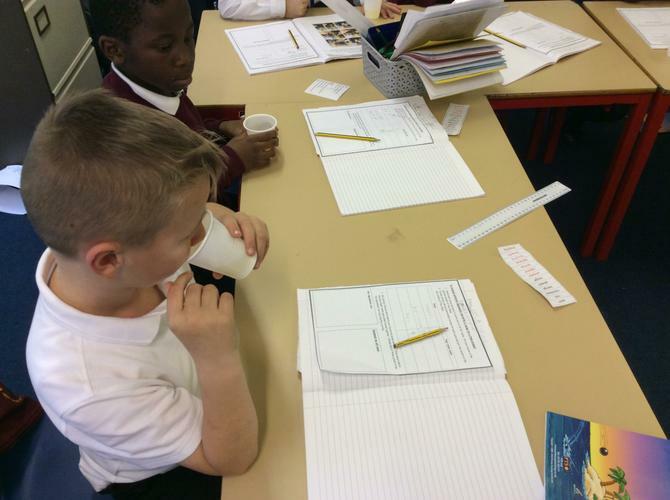 In Science, we investigated which soils allowed water to pass through the quickest. We found that sandy soil allowed it to pass through in 3 seconds! 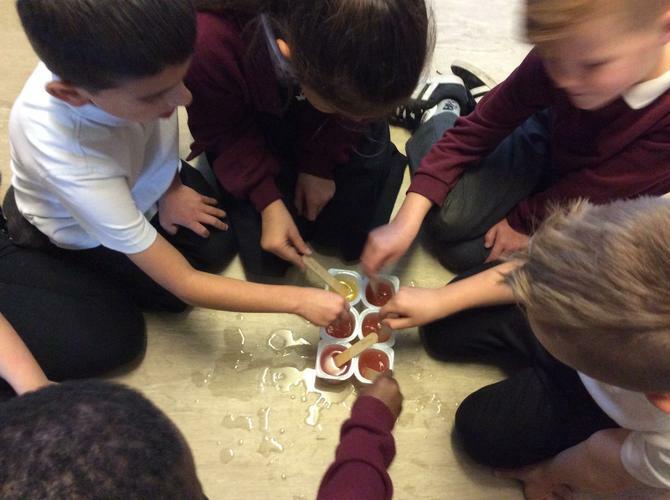 In Topic, we had facts about Stone Age food around the classroom which we used to create posters about the food they ate, how they hunted and how they cooked their food! What a busy week Year 3 have had! 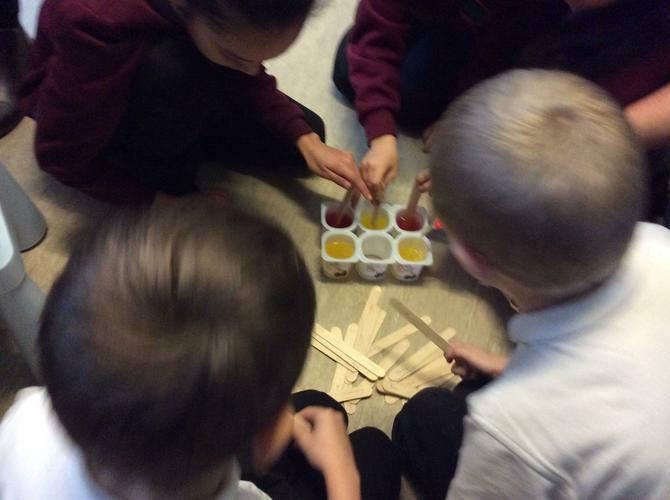 In Topic this week, we looked at Stone Age homes and had a go at creating our own. 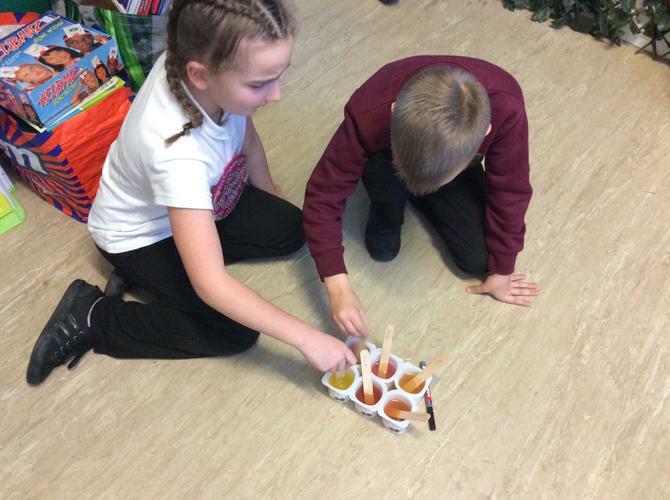 In DT, we evaluated our ice lollies and suggested ways of improving them. 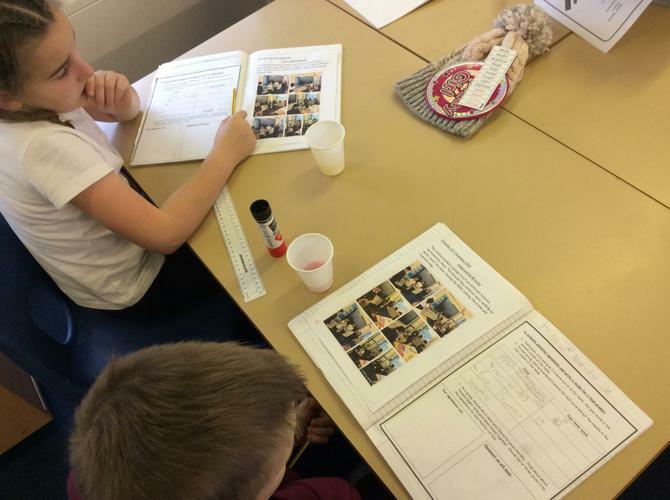 In Science, we looked at the 3 different types of rocks; sedimentary, metamorphic and igneous. Then we created our own sedimentary rock using dark, milk and white chocolate. This showed us the different layers that you would find in sedimentary rock. This week in DT we have designed and made our own ice lollies. 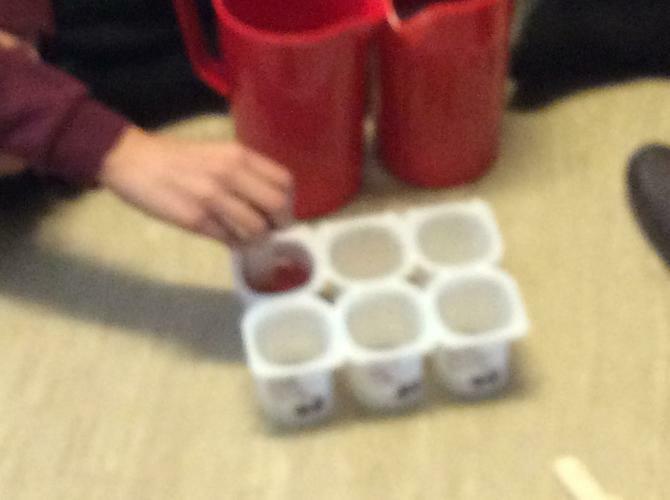 The children tasted a range of different flavoured fruit juices and experimented mixing some of these flavours together in order to create their own unique ice lolly. 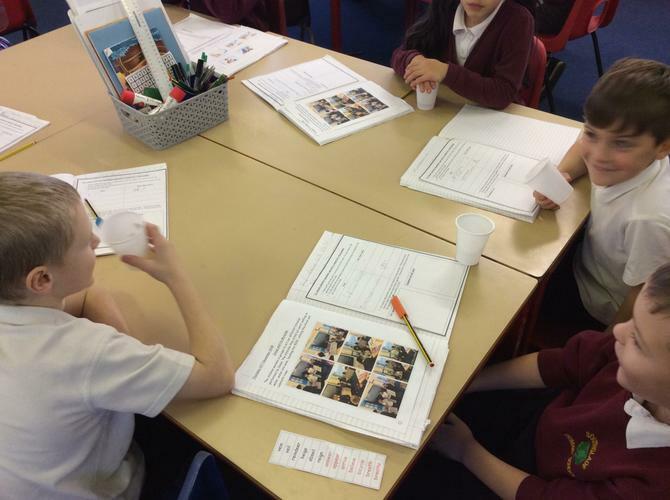 After our stone age visit, we wrote a recount of our day. Then in our second lesson we looked at just how long ago the Stone Age was. We used a toilet roll where each sheet represented 30 years.